Have you seen The Hidden World yet? If you're from one of a couple lucky locations around the world — or if you're in the United States and were able to attend the early screening on February 2 — you probably have seen the film already and want to discuss the story and spoilers! What do you think of the film? What were your favorite parts? Did you prefer Drago or Grimmel as a villain? 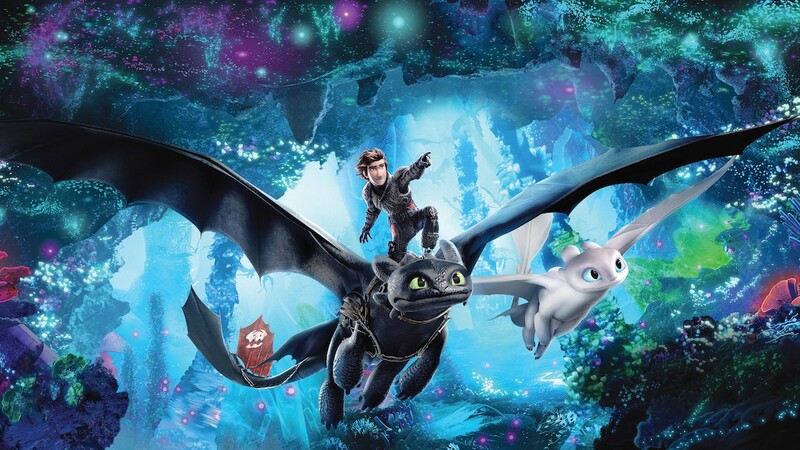 Do you think the Light Fury is the right dragon for Toothless? What is your opinion on dragon mind control? Did you enjoy the Jónsi music? What do you think about the new dragons introduced in the film? And how would you rank The Hidden World compared to the rest of the Dragon films? Thanks for all the... DRAGONS! Berk's Grapevine posts news, spoilers, and media from How to Train Your Dragon movies, TV show, shorts, and games. If you want more dragon news, follow us on Twitter, Tumblr, or pick up the Berk's Grapevine RSS feed! Turn on the spoiler filter to browse this site without worrying about movie spoilers!